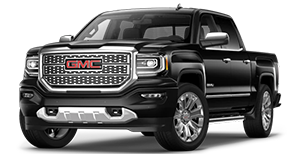 Whether a particular Buick sport utility vehicle (SUV), Chevy car, or GMC truck has grabbed your interest, or you are ready for a vehicle upgrade, such as Cadillac, Seth Wadley Buick GMC provides buyers in Pauls Valley OK with an unexpectedly pleasant dealership experience. There is no pushy sales maneuvers or aggressive dealings used here; simply helpful insights into automobiles that match your lifestyle and budget. As the prime seller of new and pre-owned Buick, Cadillac, Chevy, and GMC vehicles in Pauls Valley, Seth Wadley Buick GMC offers the exact model you have been wanting to purchase for some time now. From resilient pickup trucks and luxury sedans to spacious SUVs that are more than capable of comfortably transporting groups of passengers to various destinations, our selection of the latest, most desirable automobiles is clearly incomparable in the Pauls Valley area. Complete client satisfaction is the main priority of our friendly automotive experts who are quick to respond to your needs. So, if you dread the thought of visiting a dealership, stop by Seth Wadley Buick GMC for a hassle-free car buying experience in our inviting showroom that puts you at ease the moment you walk through our doors. Give us a call at (855) 984-6432 to start learning about the many advantages of purchasing your new car, truck, or SUV at Seth Wadley Buick GMC. With multiple outstanding car manufacturers to choose from, you might find it somewhat difficult and daunting to zero in on which vehicle is the perfect fit for your daily routine. Jump-start your decision-making process with a brief overview of the most recent models that are worthy of a spot in our showroom and your driveway. 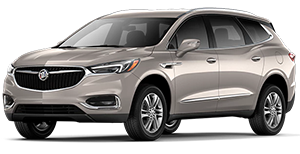 Touted as today’s SUV ahead of its time, Buick Enclave contains all the additional seating and cargo space you need to manage your on-the-go schedule smoothly. This mid-size SUV combines three rows of luxury seating, intelligent all-wheel drive, and a convenient Wi-Fi hotspot built in to help keep life moving forward safely and quickly. Everlasting elegance is represented beautifully in the LaCrosse‘s modern design. 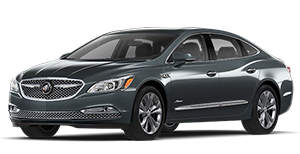 Featuring a sleek exterior with LED signature lighting, cutting-edge acoustic materials to create a quiet cabin, and an electric motor that conserves fuel, Buick is resetting the standards for full-size sedans with the stunningly sculpted LaCrosse. Travel in style and comfort when you own the most refined crossover Cadillac has carefully created. 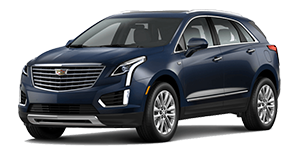 The XT5 designed with sweeping curves, a driver’s seat you can adjust eight ways, and foldable back seating for extra space is the versatile vehicle you need for all occasions. Safety is also at the forefront with alerts for lane changes, cross traffic in the rear, and blind spots. If dependability, fuel economy, and best-in-class V8 horsepower are at the top of your list, then the Chevy Silverado 1500 is just right for you. It has the ability to tow up to 12,500 pounds and features a stronger steel frame and more durable pickup box that allows you to get work done at a faster pace, which frees up spare time in your busy days. 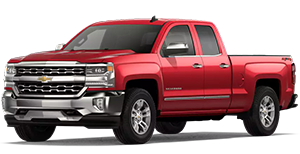 Equipped with a class-leading V8 engine and high-strength steel beds, the Sierra 1500 delivers the functionality and professional-grade performance you want in a light-duty pickup truck. Plus, the bold design with unmistakable C-shape LED lighting, distinctive grille, and CornerStep rear bumper makes you hard to miss on the road. Handling tough jobs is no problem with a trailering capacity of 14,500 pounds and payload of just over 3,500 pounds. 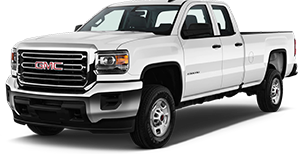 Powered by a 6.6-liter (L) Duramax diesel engine, GMC Sierra 2500 HD contains trailer sway control and rear vision camera for safe driving from one project to the next. Triple door seals reduce the interior noise level, as well. Since this is only a very small portion of the Buick, Cadillac, Chevy, and GMC models available at Seth Wadley Buick GMC in Pauls Valley OK, our knowledgeable automotive professionals are set to break down each car, truck, or SUV that has piqued your curiosity. We will politely convey any of the detailed information required for you to feel confident in selecting your next new or Certified Pre-Owned vehicle. In summing everything up, buying a brand-new Buick Enclave, Chevy truck, or Cadillac crossover at Seth Wadley Buick GMC is a smart choice, and our trustworthy staff undeniably enjoys leading clients through the exciting journey of reviewing the numerous options on display in our welcoming showroom and turning over the keys to your ultimate ride. Take the first step by connecting with us at (855) 984-6432 or face to face in Pauls Valley.